The new album from Yo-Yo Ma & the Silk Road Ensemble will surprise and delight with imaginative sounds that transform the traditional musical landscape. 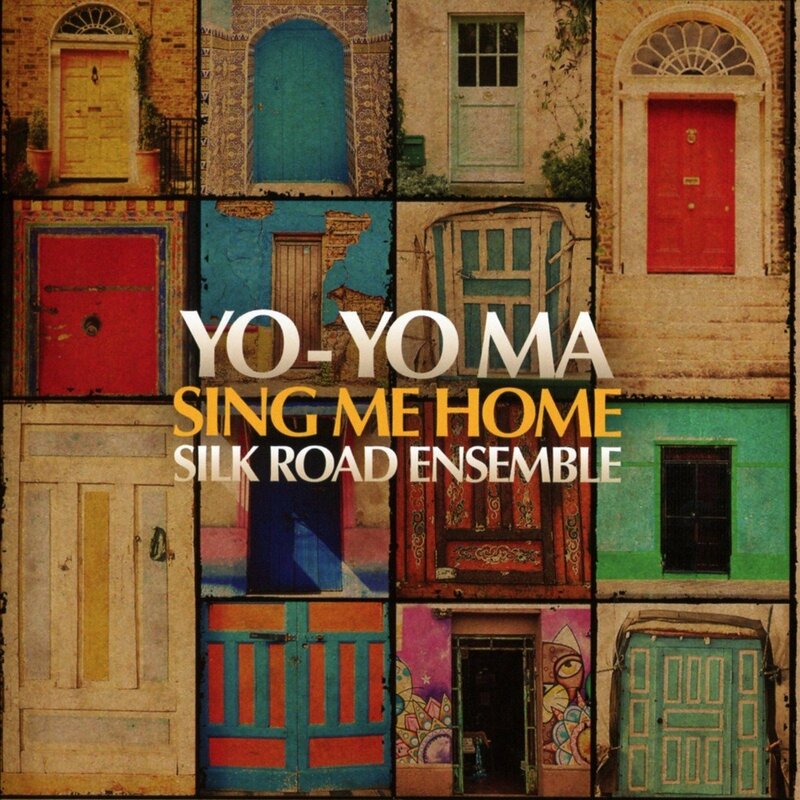 Sing Me Home is the sixth album by the Grammy®-nominated Silk Road Ensemble and its founding member and guiding light, Yo-Yo Ma. The album features special guest performers Rhiannon Giddens, Sarah Jarosz, Abagail Washburn, Gregory Porter, Lisa Fischer, Grammy Award®-winning jazz guitarist, Bill Frisell and more. Produced by Silk Road Ensemble member Johnny Gandelsman and Grammy Award® winner Kevin Killen (U2, Kate Bush, Elvis Costello, David Bowie), Sing Me Home examines the ever-changing idea of home, with original and traditional tunes composed or arranged by members of the Ensemble s unique collective of global artists. Each piece invites listeners to explore the music of home through the individual experiences of Ensemble members, many of whom are immigrants. The result is a compelling collection of innovative and deeply moving tributes to the rich cultural heritage of the Balkans, China, Galicia, India, Iran, Ireland, Japan, Mali people of Roma, Syria and the United States. 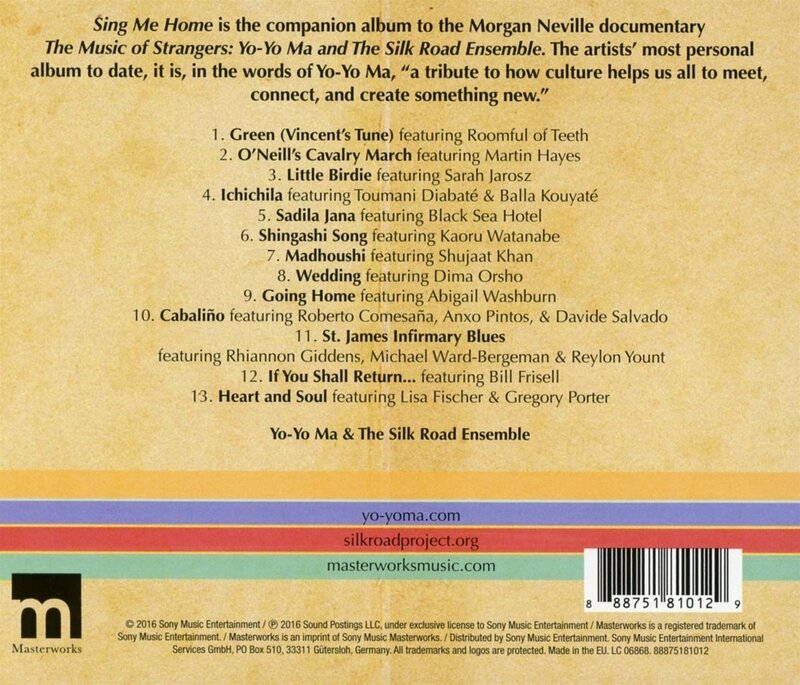 Sing Me Home is a companion album, developed and recorded alongside The Music of Strangers: Yo-Yo Ma & the Silk Road Ensemble, a documentary feature film from Oscar® and Emmy®-winning director Morgan Neville that tells the story of the Ensemble and Silk Road, its parent organization. 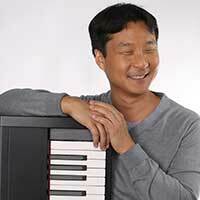 The Music of Strangers will be released theatrically nationwide in June and will air on HBO in the fall.